5 ∾ Holly's tips on personal style, design and inspiration (via decor8). 4 ∾ This rustic house in France (via LatteLisa). 3 ∾ Subway tile is back on track (via The Interior Collective). 2 ∾ I die for risotto. Especially this one (via Pratos & Travessas). 1 ∾ Bold green kitchen cabinetry is fun (via Apartment Therapy). 4 ∾ This is not your average dining table. 3 ∾ This storage cabinet. 2 ∾ This amazing gilded tray table. 1 ∾ These lace trim kitchen towels. 3 ∾ A neo rustic home in rural France. 2 ∾ Why this eclectic kitchen works so well. 1 ∾ 10 of the coziest window seats around. 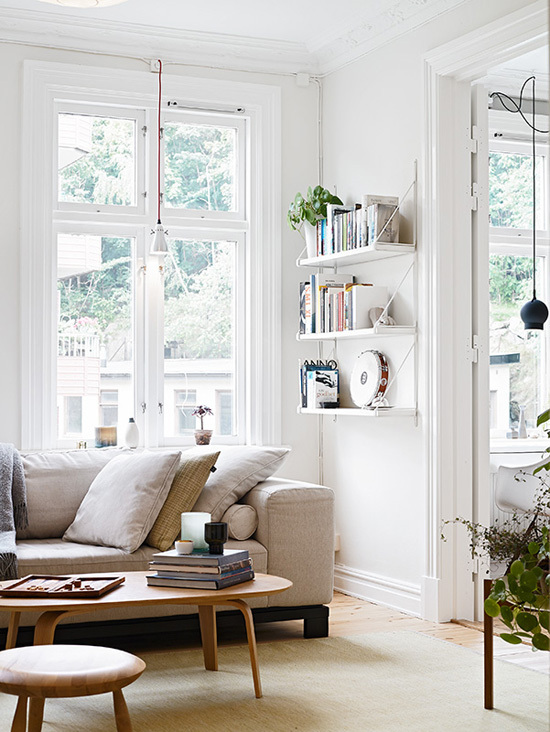 2 ∾ Top: This cozy scandinavian living room is so inspiring. 1 ∾ Into the mood of falling leaves. These interiors are amazing (especially that first photo's windows!). That rustic country home is so SO beautiful. Have a fantastic weekend, Eleni! white bedroom with fire place, I couldn't ask for more!